Just this morning I found out I was nominated for the Liebster Blogging Award by AlreadyNotPublished. Thank you so much! She has a great blog. It is the first award I have ever been nominated for on my blogging. Still feel like a newbie to the blogging world, so I hope I’m doing this right. Rules which go along with the award are : Thank your Liebster Blog award presenter on your blog and link back to their blog. Copy and paste the award to your blog. Nominate 5 others for the blog award(Sorry if you’ve already been nominated before and I didn’t know it). Lastly, list 10 random things about yourself. Honesty, blog by TheOthers1, which I truly appreciate for her forth right honesty and quirky sense of humor. She is a writer as well. Linneann, blogged by herself, a mother with a heart of gold and is also currently working on writing a book. Love the blog because it connects with my mother’s heart. Kat Collins, a freelance writer, whose blog I enjoy for the encouragement and inspiration for writing. Have also enjoyed many of her Wednesday writing prompts. On Becoming a Wordsmith by Elaine Cougler, who is another writer whose blog has been a source of inspiration and valuable for discovering resources for writing. Last, but not least : Be Kind Rewrite by Stephanie and TragicPete, whose blog I have particularly enjoyed for their weekly Inspiration Monday writing prompts. I will only drink milk out of a glass, no plastic. On rare desperate occasions I will drink it out of a paper carton. Love milk and it is essential for chocolate. Love chocolate. Think it definitely needs to be classified as a food group and is one of the major destressers in my life. As much as I like chocolate, however, I do not particularly care for white or dark chocolate. My favorite forms of exercise are swimming and yoga. I love the water, even though the only things I know to do are the doggy paddle and swimming on my back after a fashion. I don’t know how to do the front or back stroke and don’t like to swim underwater either. I enjoy making homemade lye soap and using different essential oils to give it fragrance. My favorite scent is lavender. I’m directionally impaired. Meaning I get lost incredibly easy. I joke I can get lost in parking decks, but it’s not so much of a joke as I once was and had to have the security guard drive me around to find my car. I was born in Germany as both my parents were stationed over there in the military. Historical romance books are my favorite type of fiction to read just for fun. Love studying about herbs and growing them in my herb garden. Like to paint my fingernails and toenails in a matching shade of pink. Pretty petunia is one of my favorites and a bright pink is about as wild as I go. Once I did get adventurous and painted my nails red for a party. I had a planned homebirth with midwives for the birth of my daughter. Sorry this was so long. Hope you made it this far and if you did, thanks for reading this! Not my normal post about writing, but it was fun to do. A few months ago I did submit some of my writing to different places, but never wrote a query letter. One was a poem entered in a contest for the Carolina Woman magazine, which I did not win but did receive back a very nicely worded rejection letter. The other has been primarily writing articles and submitting to the Yahoo! Contributor Network since February. I’ve been writing other articles and researching magazines I am interested in making submissions to, but honestly I think I have felt a little intimidated about writing query letters. My writing doesn’t make me hesitate as I just write. Maybe I’ll hope someone likes it, but I don’t think about it too much. It’s not that I don’t care about the audience who may be reading my writing. I think it’s just I’ve spent so much of my life trying to make other people happy and often being quiet about things that my priority is speaking up even if some one may not like it or agree with it. Sometimes it’s something I’m writing from the heart. Other times it can be something I have to share I’m interested in, something I learned, or maybe something from my life. Query letters on the other hand feel like one of those nice tidy things which if not done correctly like a form you fill out at the DMV office can lead to the demise of your writing. Hence my trepidation. Some things procrastination does not improved and just holds you back, so I decided to just jump in yesterday. Hooray, nice deep breath, I can officially say I have written my first query letter and begun in earnest to work on submitting some of my writing. Through all of the reading I’ve been doing the last few months, there are a few basics I recall to query letters. A big one, which I am floored to learn not all people do, is to make sure to read submission guidelines and follow them. Another point is let your writing stand out by itself, but stick to the classics when it comes to a query letter and don’t try to make it stand out too much. It’s not the time for creativity with a query letter on neon green paper and an unusual font. It’s best to use good old fashioned standard white paper and a font usually accepted such as arial or times new roman. A last point is just as you try to grab your reader’s attention, you want to grab the attention of the editor right away, so put an interesting idea or the “hook” of your article in the first paragraph. There is a good article How to Write a Query Letter on the PoeWar website. In the beginning there is a list I really like of some of the advantages of writing query letters, which are worth considering as I’m learning some magazines do not require query letters. I did some of both yesterday. A few poems were submitted to one magazine without a query letter, but I submitted two stories to another magazine with a query letter. What’s your favorite tip regarding query letters for submitting your writing? This is a good post with tips to stop procrastinating for writers. Every now and then it can be a good thing to reassess goals. See if the original goals you have set are being met, if the goals need changed, or if the goals need totally removed from your list. I have decided since things have changed in my life it is time for me to reassess the goals I set regarding my writing. Originally when I first started this blog I was completely unemployed and attempting to begin freelance writing. Recently I have been able to find a job, which is nice as I feel some of the pressure is removed from writing to make sure it earns money. This is a two edged sword per se and may also be a bad point. Either way, I guess the main point is at least I am still motivated to write and still working on freelance writing. Temporarily I also have another side freelance job I am working on from home. It is not writing, however, but is internet research. I love to read, so the goal I set of reading two books a month is one I think I’ll keep. Though I haven’t kept up with the goal of two blog posts a week, I still think it is a goal that can be met, life has just kind of got in the way. Another goal I want to add is to start submitting my writing, which I still have yet to do and I have several things ready. Just need to try to find homes for them. The article writing goal is one I am deleting from my list as my priorities have changed and two articles per day was too much with the other projects. I’m still writing articles, but have also expanded to working on other things. Poetry, personal essays, and a few books are the writing projects topping my list these days. Any good tips for reassessing your goals or helping to meet the goals you have set? Every now and then, it is good to take a step back and get a fresh perspective on things. I’ve been gone for a bit dog sitting for some friends while they were away. It was nice to be back in Virginia and I love seeing the mountains. 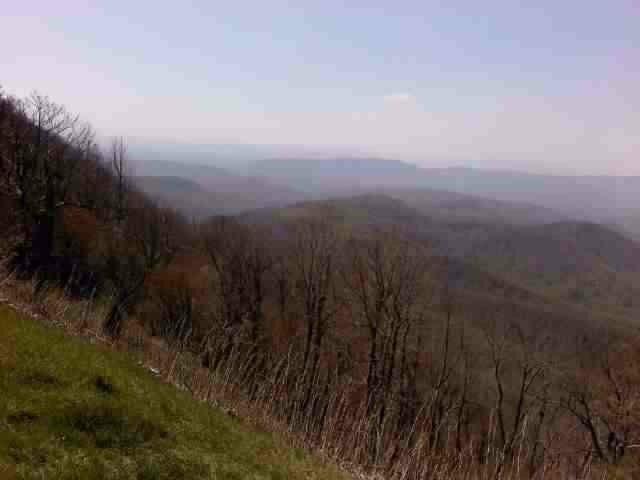 As many times as I’ve been, I had never been on the Blue Ridge Parkway. This time I made time and took a drive so maybe I could get a closer view of the mountains. The first few overlooks I was disappointed and thought how much more beautiful the mountains looked from afar than close up. The further I went though, I found some overlooks with absolutely amazing views of the overlapping mountains (sorry pictures aren’t better, only had my cell phone for photos). 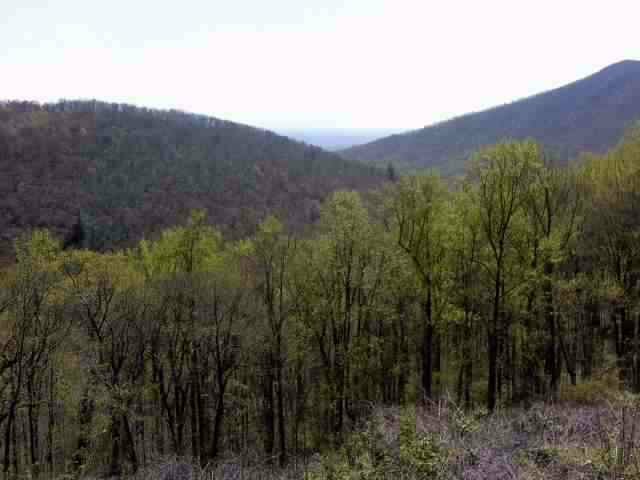 Some of them have interesting names as well like Apple Orchard Mountain. I want to return one day soon, take better photos, and wear more practical shoes so I can explore some of the trails. My trip to Virginia gave me plenty of time to think and write. The first few days I just really took a chance to unwind and relax. While out exploring one day I went to Barnes & Nobles and found a book, The Story Within : New Insights and Inspiration for Writers by Laura Oliver. I absolutely love this book and I am only a little over half way through. It’s the kind of book that just speaks to my heart. She provides wonderful insights into helping a writer find their voice and look at their life in a fresh perspective for writing material. It was helpful to see sometimes we need to take a step forward and more closely examine incidents in our life in more detail. Other times it may help to take a step back and look at the broader picture for what it truly means rather than the superficial details. As she says even essays have a plot. The author also does a good job of providing examples of writing to illustrate her points. Always looking for positive motivation, I was also pleased about the number of wonderful quotes from a number of writers and other famous people. One from Louis L’Amour was, ‘If you’re going to be a writer, the first essential is just to write. Do not wait for an idea. Start writing something and the idea will come. You have to turn on the faucet before the water starts to flow.” There are plenty of prompts and encouragement provided for writing as well. I can’t wait to read more. It was nice to have uninterrupted writing time. I wrote several poems and a few essays. I don’t usually write short stories, but was inspired to start one. It seemed ideas were springing up as I was writing at times, so I would write them down for future reference. Hopefully this week I can work on finishing up a few pieces and work on making some submissions. Back and ready to view life with new perspective. 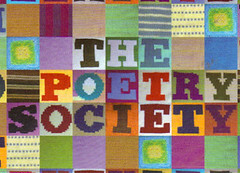 Happy “National Poetry Month!” I love poetry, so I am very excited there is a whole month dedicated to it. Still reading the book about poetry I mentioned in a previous post. It’s great and I am continuing to write more poems. Finally wrote my first sestina, but think I prefer sonnets and free verse poetry. Here are a few links for places to explore more about poetry : Poetry Foundation , Everyday Poets, and Poets.org. This post is a little later than I had planned, but life has gotten a bit busy. The good thing is I am still writing and plan to endeavor to be better about blogging as well. Presently been working on a few essays as well as the poetry. Happy writing and I hope everyone has a good Easter!